I found myself really craving salad today. Maybe it was something to do with the fact we’ve only got a few more days of sunshine forecast before the temperatures start to drop below freezing. I’ve been limiting myself to tried and true winter vegetables so far, but when I had another look at the vegetables in season, I noticed spinach. Yes! Something green and salad-y. But it’s still ‘wartime’ and I had about 2 ozs of turkey and mashed carrots left over from the weekend, so I really had to use them up. The solution? 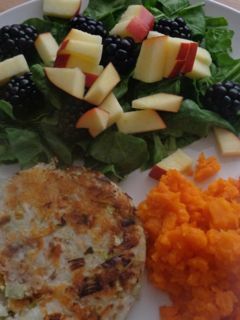 Turkey ‘burger’ (1 medium mashed potato, small amount of chopped fried leek and chopped up cooked turkey meat all mixed together, shaped into a burger and then fried in a little butter) with carrots, spinach, blackberries and a little chopped apple on the side. It’s funny… just a few odds and ends yet it made a really nice lunch. In fact, it made two ‘burgers’ so I have leftovers for tomorrow. More importantly, I really enjoyed my salad! Yay! Rather than comment on what was in ‘today’s paper’ on October 24th, 1944, I thought I’d let you in on a conversation I had with Anne this morning. It’s been interesting seeing the blackout times in the paper get longer and longer now that they were going into the winter months, so I asked Anne about it. Basic questions like, what was the blackout made of? What did it feel like once the blackout was up for the night? The blackout was made of a black material that went inside the normal curtains next to the window. Once it was blackout hours, you couldn’t turn a light on in a room without ensuring the blackout curtains were closed, which often meant stumbling across the room in pitch darkness first. She can’t remember if coupons were needed to buy the material, but it was cheaper to buy than other fabrics. And she can remember some people making clothes out of it. Outside, you could use a torch, but it had to be taped so only a small beam of light showed. The same with car lights. Which got me wondering what it was like to be outside in the blackout when there was a fog. Even I can remember the filthy smogs we had in Glasgow back in the 60s, and having to go to school with a scarf over my face to protect my lungs. What must fog have been like during the blackout? Anne’s reply was that the fog didn’t just spoil your vision, but also your hearing. It was the absence of sound that she says she hated more than anything. You’d be standing at the bus stop waiting for the bus and have no sense of it until it loomed out of the fog less than ten yards from you. She has a particular memory of being sent to the chemist’s shop to pick up a prescription for her parents. It was only a few steps away from their flat in Byres Road in Glasgow, but she especially hated going there when there was a fog outside. The 40s was still a time when chemists prepared their own pills and potions, so there were always vapours hanging in the air inside the shop which seemed to affect her particularly badly when she went back out into the fog, burning her throat. She’d run home to the kitchen and the fire where the family congregated. Not only did fire keep the fog away, but with fuel rationed, it was the only room they were able to keep warm. “Everyone lived in the kitchen,’ she said. We discussed a few other wartime nuggets – little things that you can’t find in the history books – but I’ll keep them until tomorrow. 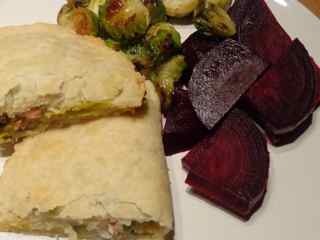 Dinner tonight – bacon turnovers with beetroot and roasted brussels sprouts – was delicious and so satisfying I could only manage one course. 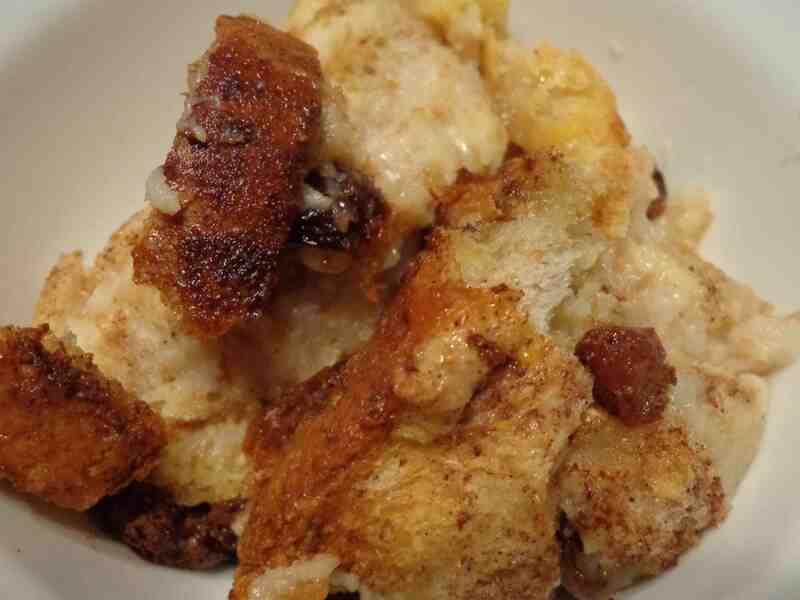 The pastry was simple – flour, fat and water – and the filling easy – fried bacon, leeks and mashed potato. Roll the pastry into a circle, put the filling in the centre, fold the pastry over, seal the edges, then put in a hot oven for 30 minutes along with the sprouts which were roasted in the left over bacon fat. This would be a great – and incredibly cheap – recipe for leftovers of any kind. On to more of Anne’s memories of being a child evacuee during the war. Were there many evacuees in Kippen? The ‘under -11s’ from Hyndland School were all there or in other villages around Balfron. I was lucky and made two ‘best friends’ – one a village girl, and the other from Hyndland. How often did you go back to Glasgow? I don’t remember clearly, but I think not often, especially not at the start or until more raids seemed unlikely. It was more a case of Glasgow family coming to see us than our going there. John (Anne’s brother) came during his leaves and he and I explored the countryside around – memories which are precious to me. How long did the journey take to Glasgow? Did you travel by bus or train? By bus, which we picked up at St George’s Cross at the east end of Great Western Road. It took a little over two hours as far as I remember, winding through village pick-up stops – like a puppy-dog and lamp-posts. In winter it was a dreary run because of the dark, and the dim blue lights were to dim to read by. Did you remain in Kippen over the summer? Oh yes, it was an unbroken stay, except for the occasional trip to Glasgow. Towards the end my Kippen best friend came to Byres Road with me for a week. A very simple meal for dinner this evening: soup, corned beef hash and pear crumble. The hash was very simple and tasted better than it probably looks in this picture. Next time I make it I think I might add some onions. And my husband insists corned beef hash isn’t corned beef hash if you don’t add a splash of hot sauce! Continuing with Anne’s memories of being evacuated to Kippen with my mother Mary, I asked her about some of the houses they lived in. I remember my mum telling me that they lived in the attic in one of the homes and she had to haul buckets of cold water up to the top floor to wash my brother’s nappies. What were Anne’s memories? The next house was also on the main road and that was the attic one. One large attic room was already occupied by a lady of Mary’s age, called Mary T, and the two Marys were friendly. Mary T was an amusing companion and a great mimic, the sort of person who can keep you laughing , so it was sad to learn later that she died of TB when she was 28. Mary and your brother slept in the other large room, and I had a sort of cupboard on the landing with a skylight, and a little camp bed only inches off the floor. House no. 3 was right on the edge of the village and more than a mile from the centre in an area or sub-village called ‘Cauldhame’, so I had a very long walk to reach the bus-stop to take me to school in Balfron, and in the winter suffered from chilblains. Living there was OK because I’d made a friend of one of the village girls nearby. 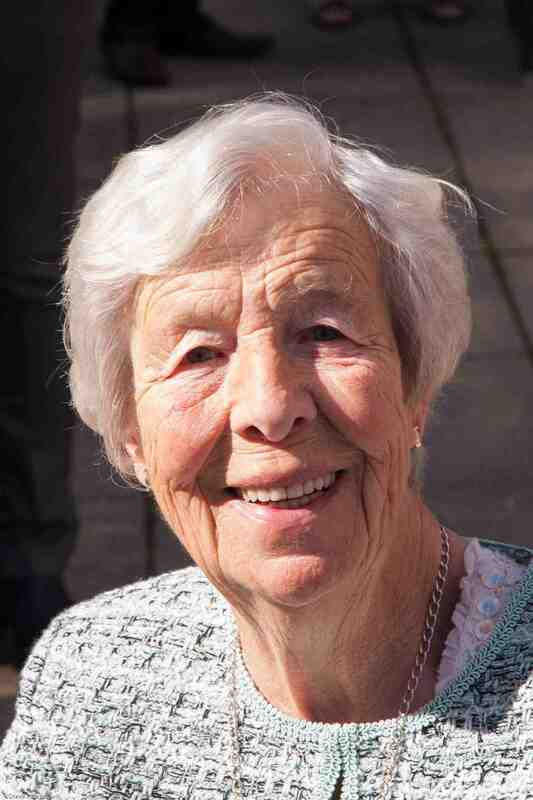 Her father had worked for the railway company and on retirement had bought a railway coach for their retirement home. That was interesting. But I can’t remember much about the inside of the house – maybe we weren’t there for very long, though its setting just beside a little wood with a stream was very pretty, so games like ‘Sleeping Beauty’, Robin Hood and Babes in the Wood were believable. The last house was the most modern – a block of 4 flats in pale coloured masonry. We had the upper flat on one side, so there was a big flight of stairs behind the ‘front door’. The occupier was a Mr T, a big, bluffly cheerful man who was the local gravedigger and presumably acted as a general groundsman when there was no-one to bury. He was kind and always in a good mood. I think Mother had him to stay a few days at Byres Road at least once – to see the Big City. We shared the living room with him, and Mary and I were in a double bed in a bedroom. It was the most spacious of our billets. Although I’m tending to have the same for breakfast and lunch every day – porridge, soup, sandwich/salad and fruit – I’m trying not to repeat evening meals. At least the main course. So far I’ve been fairly successful. This evening (bracketed by soup and bread-and-butter-pudding) we enjoyed a homemade hamburger – 2 oz of minced beef from our 8 oz rations – mixed with breadcrumbs, chopped onion, seasoning and a little HP sauce to pull it all together. 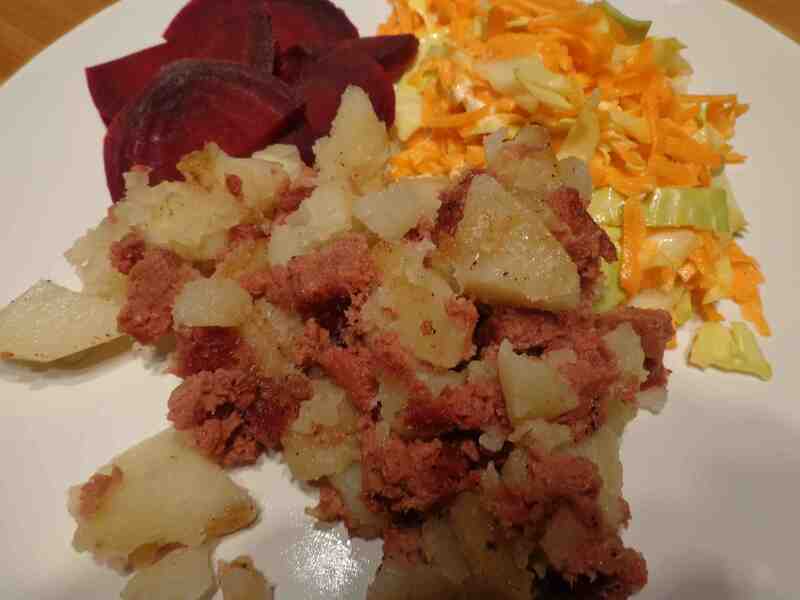 Along with that I made fresh beetroot and stoved potatoes (potatoes, onion, milk, seasoning, butter). I’ve never made the latter before, but they are almost identical to scalloped potatoes, only made in a pot on top of the stove instead of the oven. Fast, easy and tasted really good. Following Anne’s mention yesterday of the Americans arriving in the UK, I received a question asking more about her memories of that time. Can’t remember much about it. I suppose the main influx of US troops arrived sometime in 1942, but I would have been in Kippen, I think, for most of the time that forces were building up in Britain towards D-day. There were no US troops in Kippen! By the time I went back to Byres Road I was aware of them, of course, wandering in twos and threes around the city. I have the feeling they were mostly new arrivals or ‘on leave’. At least one of the big hotels, at Charing Cross, had been taken over as a residential US Army club, and most were to be seen around that area. I was still very young – about 13/15 – ages in those days still regarded as ‘children’* innocent of the world, and I gave them little thought. *As somebody so rightly said, ‘The past is a foreign country – they do things differently there’. Certainly we were allowed to be children’ for much longer. There had been severe warnings from Mother of course, but about soldiers in general, with US ones regarded as more dangerous because they had so much more money! So I was steered clear of them. But I’ve found a BBC article which gives a lot of info, so try that. The article’s title is ‘How the GI influx shaped Britain’s view of Americans‘. There’s also a great film called ‘Yanks’ which is worth checking out. This isn’t the best clip from it, but it’s the only one I could find on Youtube. Yesterday evening I pressed the ‘publish’ button by mistake when I was only halfway through my blog, so tonight I’ll be more careful not to make the same mistake. Conscious that most of the vegetables I’ve eaten in the past few days have been cooked, I decided to follow my lunchtime leftover Brussels Sprouts soup with a big bowl of red cabbage, carrot and sultana coleslaw. It tasted just as delicious as it looks and, with no citrus fruits available in Wartime Britain in January, I felt very virtuous having boosted my Vitamin C intake! 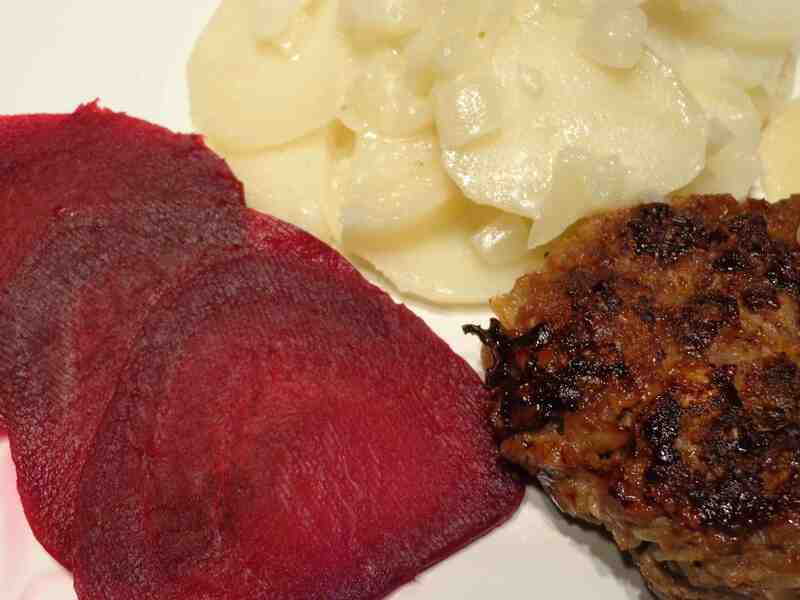 For dinner, I tried out a couple of recipes from The 1940s Experiment. 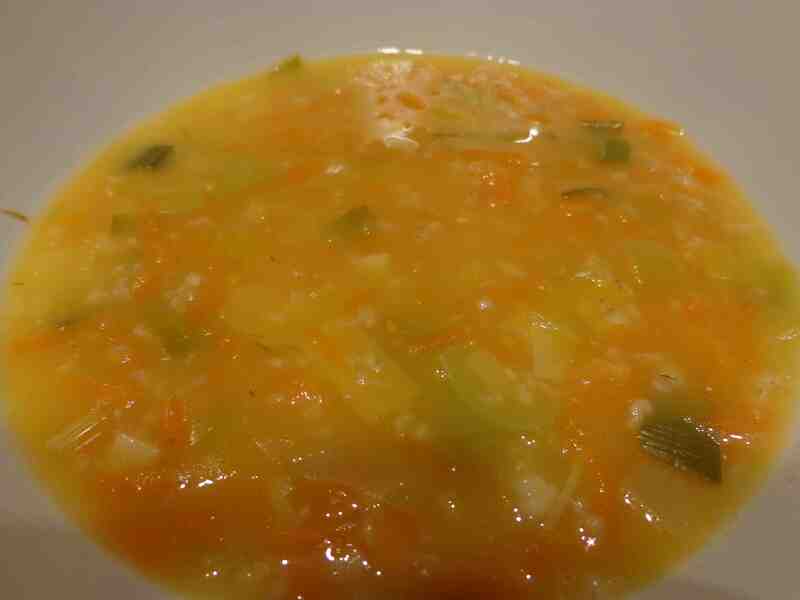 The first was Oatmeal Soup – only I forgot to add the milk at the end and used a leek instead of onion. My husband was more than a little suspicious of the idea of ‘oatmeal’ in soup, but I have to confess, this was the best soup ev-ah! Dead simple: pint of broth, one leek chopped, two carrots grated, three tablespoons of oatmeal, and a smidgen of butter for frying the leek before adding it to the stock. It couldn’t have been more simple and I honestly think it’s the best soup I’ve ever made. 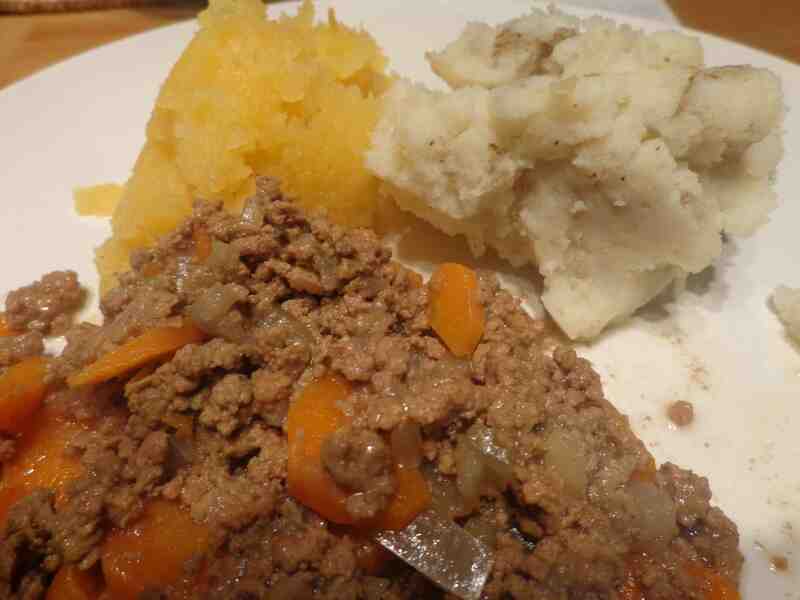 Main course – a real Scottish dinner of mince, tatties and turnip – doesn’t look very appetizing here, but tasted good. Real comfort food. And I was a good wartime wife tonight because I didn’t peel the potatoes, only scrubbed them before boiling them. I wondered about mashing the skins in with the potatoes, but it didn’t make any difference to the taste. Getting back to the war… I was surprised that the blackout started so early in the afternoon in Glasgow and finished so late next morning. I asked Anne how that affected her, especially going to school in the pitch dark. Was she allowed to use a flashlight to see the pavement? Did the classroom windows have to keep the blackout blinds down until 9.17am – or whatever time the blackout ended? Memory is very hazy on this, but what there is tells me that hand torches were forbidden unless they gave only a tiny slit of light or else had the clear glass painted or covered in blue – like the lights in railway carriages and, I suppose in buses and trams, but I have no memory of them. I don’t remember any difficulty with light when climbing up George St to get to Hillhead Junior School – I know Mother used to come down to ‘see me across Byres Road’ – blackout or no – after that I was on my own. Perhaps there was just enough light even though the official blackout hadn’t ended. It was when I went to Kippen after the Clydebank Blitz that I discovered that my secondary school in Balfron was really Hyndland School shifted en bloc – pupils and teachers. Their teaching suited me better, but I was unfortunately still sent back to Hillhead when I returned to Glasgow.